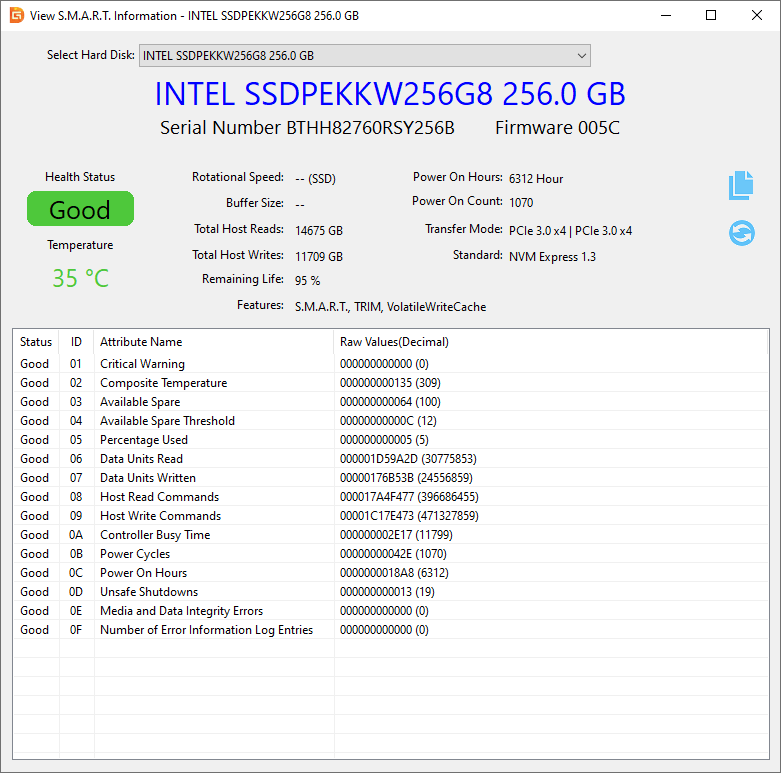 DiskGenius, freeware for hard drive diagnostics, can test storage device for errors such as bad sectors, modify HDD parameters and show S.M.A.R.T. attributes. You can perform regular hard drive rest to predicate potential problems so that you will be able to protect data against loss due to hard drive damage. S.M.A.R.T. (Self-Monitoring Analysis and Reporting Technology) is a feature on hard drive to monitor indicators of disk reliability. 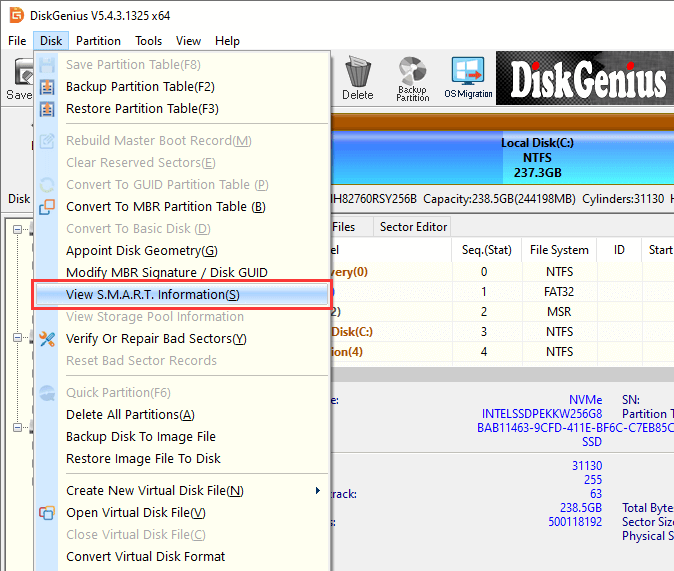 Windows does not provide an easy tool to view hard drive's S.M.A.R.T. data, but you can use DiskGenius to check this information. Step 1 Select the disk you want to check its S.M.A.R.T. information and click "View S.M.A.R.T. Information" option from Disk menu. Step 2 A window pops up and you can view detailed S.M.A.R.T. data such as Serial Number, Health Status, Temperature, Power-on Hours, etc.